Bold, block legs and a distressed finish infuse this relaxed vintage pub table set with a touch of rustic charm. Those details, paired with the bar height of this table, create a perfect blend of modern farmhouse style. 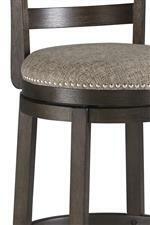 Completing this set with comfort are the four upholstered swivel barstools. The Drewing Five Piece Chair & Pub Table Set by Signature Design by Ashley at Miskelly Furniture in the Jackson, Pearl, Madison, Ridgeland, Flowood Mississippi area. Product availability may vary. Contact us for the most current availability on this product. The relaxed vintage, farmhouse style of this dining collection is a perfect fit in your modern home. 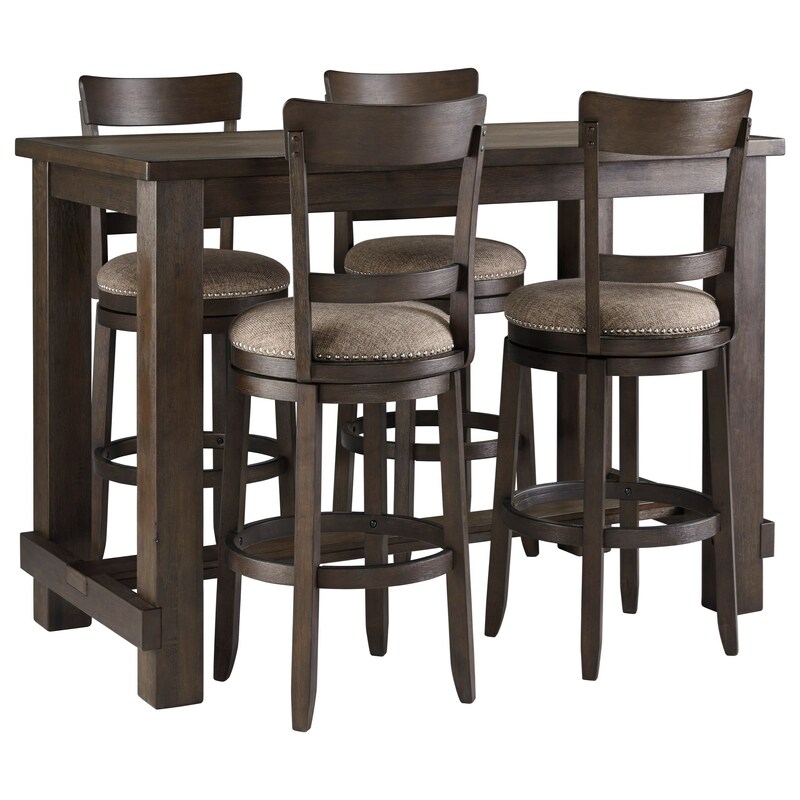 A distressed wire brush finish brings a slight rustic appeal, while the bar height design gives these pieces a stylish update. Especially suited for open concept homes, this collection invites friends and family to relax and chat around your dining area for hours on end. The Drewing collection is a great option if you are looking for Relaxed Vintage furniture in the Jackson, Pearl, Madison, Ridgeland, Flowood Mississippi area.